Athena (the Advanced Telescope for High-Energy Astrophysics) will continue the series of large X-ray observatories inaugurated by Chandra and XMM-Newton, offering transformational capabilities in several key areas. It is the second large-class ESA mission (L2), and it is planned for a launch towards the end of the next decade, around 2029. 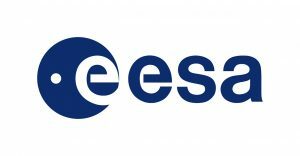 The Phase A is progressing at full speed, with intense work in the ESA Study Team, the Instrument Teams and industry with the definition of a mission design baseline over the next 12-18 months. The organization of the second conference on Athena will thus give the opportunity to discuss with the astrophysical community its prospective scientific impact, also in the light of possible future X-ray missions (eROSITA, XARM, Arcus …), of synergies with multi-wavelength facilities that will be operational at the end of the next decade, and of the advent of multi-messenger astronomy. The registration in the conference has no costs, a part from the social dinner for those who intend to participate. Contributed talks or posters can be submitted through the web page http://www.astropa.inaf.it/athena18/. This session addresses the large scale structures in the Universe and will review the Athena science impact on the study of cosmological filaments, clusters and groups of galaxies and their evolution, the missing baryons and the warm-hot intergalactic medium. The talks in this session should touch upon some of the key aspects of the astrophysical processes that account for the assembling of the ordinary matter into the large-scale structures we see today. The growth of super-massive black holes, the mechanisms at the core of the central engine, and their influence, through the feedback effect of accretion, on the formation and evolution of galaxies will be discussed. Feedback effects of the accretion on the low mass black hole in our Galaxy and in the Local Group will also be a topic of this session. The capabilities of Athena in the study of the high-redshift universe with Active Galactic Nuclei and Gamma Ray Bursts will be reviewed. This session should discuss the synergies between the X-ray observations by Athena and ground/space based future facilities such as E-ELT, ALMA, SKA, and other ground and space observatories likely to be in operation simultaneously to Athena. Some of the talks will address the synergy of Athena with facilities carrying out large sky surveys at various frequencies. The capabilities of Athena in the rapidly growing subject of the multi-messenger astronomy to find, characterize and study the physical processes at work in the electro-magnetic counterparts of gravitational waves sources will be reviewed. The capability of the Athena X-ray observatory to address the issue of the origin, nature and effects of high energy emission on a wide range of interesting astrophysical sources and phenomena will be reviewed: Solar Systems Bodies, Exoplanets, Star Formation and Evolution, Supernova Remnants and the Interstellar Medium, Star Formation & the Star Formation History of the Universe, End Points of Stellar Evolution as well as the synergies between X-ray and Gamma-ray Observations of Cosmic Particle Accelerators. Apart from the many invited and solicited presentations, a poster session is foreseen. Updates on the invited program will be available on the web page.